The bold transformation of the John C. Hitt Library is underway. Phase 1 of the 21st Century Library Project has been completed, and work has begun on Phase 1A. In fall, 1968, the first building on the UCF main campus, the library, opened to students, housing offices, classrooms, and even the university bookstore as well as the library. In 1984, the building doubled in size to accommodate the expected future growth of the enrollment of 15,000. The 21st Century Library has been designed and planned to support more than the explosive growth in enrollment since that time. New learning and discovery technologies, collaborative and individual research and study, collections in a variety of formats with the breadth and depth to support new and expanding programs will be available to students and faculty in a welcoming, engaging and inspiring environment. 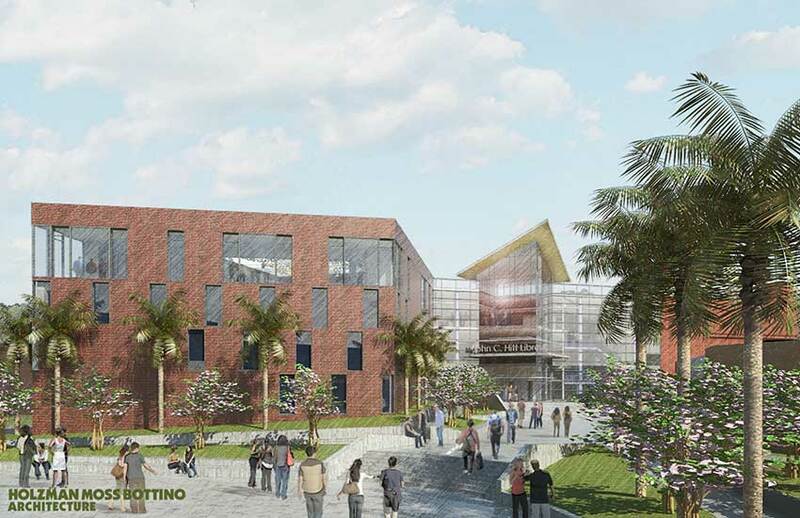 Phase 1 included construction of the Automated Retrieval Center (ARC), which will have a capacity of 1.25 million volumes, and will quickly supply students with requested titles. It is the first of its kind in Florida. Phase 1 also marked the completion of the 5th floor Quiet Study Zone, an area focused on the research, study, writing and coursework of individuals. 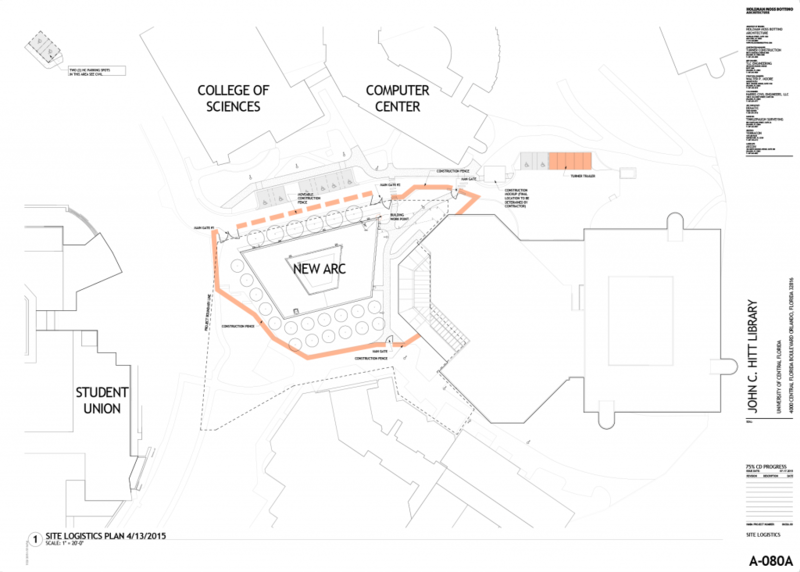 Phase1A will mark the construction of the “Connector” building, which will connect the ARC to the existing library building. The Connector will include a new entrance to the library, near the Student Union, new library instruction classrooms, a multipurpose room, and additional space for students. 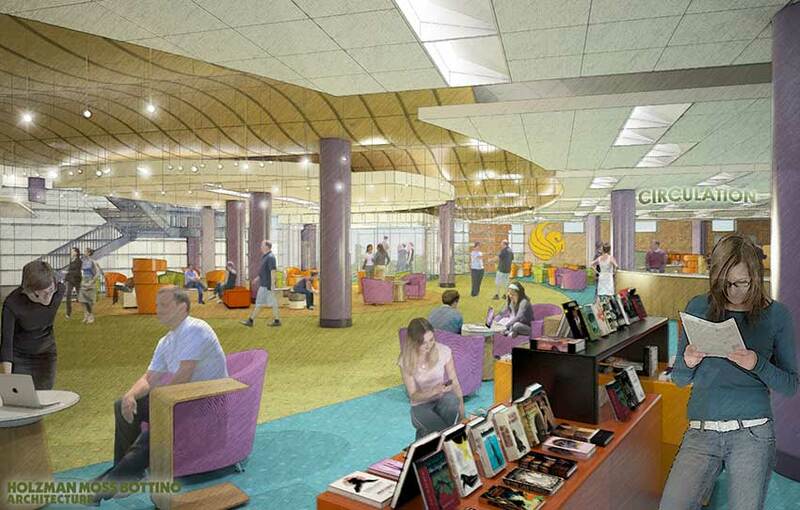 Future phases of the 21st Century Library project will include space for graduate students, a digital commons, and a complete renovation of the existing library buildings. Use these pages to stay current and share the excitement in a new chapter for UCF’s iconic first building. Check this page for updates. Share your ideas and comments with us as we move into the future. We apologize for the fluctuating cold temperatures in the John C. Hitt Library due to the ongoing construction. When will Phase 1 be completed? Phase 1 ended in July 2018. The 5th Floor Quiet Study Zone, the Automated Retrieval Center building, updated restrooms in the 1984 building, new elevators, and sprinklering of the entire building have been completed. When will the entire project be completed? Phase 1A began in August 2018. 1A is scheduled for completion at the end of 2019. A timeline for future phases of planning and work is not yet available. The entire project may take five years. How is the 21st Century Library project being funded? 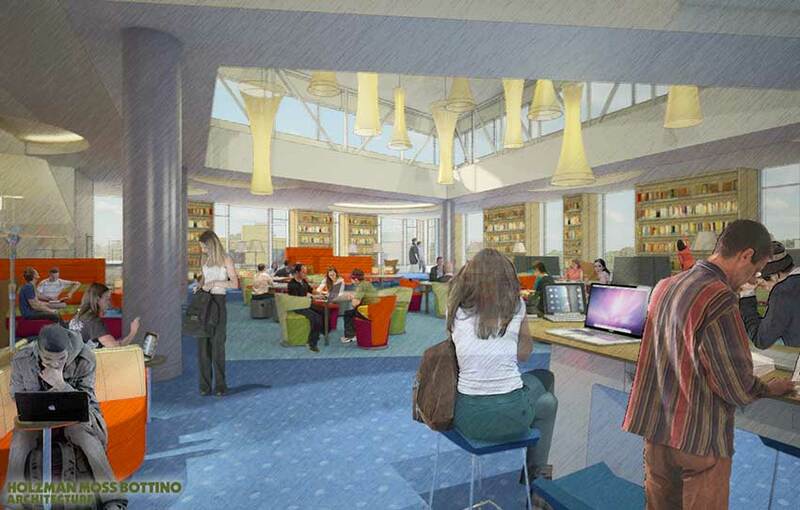 The 21st Century Library is being funded by the Capital Improvement Trust Fund (CITF). The Capital Improvement Trust Fund receives fees from students, which are paid as part of tuition. What is included in future phases of the project? Will part or all of the Library close during any Phase? Library services and resources will remain available throughout the project. Space will be available for study and research in the John C. Hitt Library during all phases of work. Access to some areas of the Library will be restricted at times as the work proceeds, but alternative locations in the library for services and individual and collaborative work will be made available.